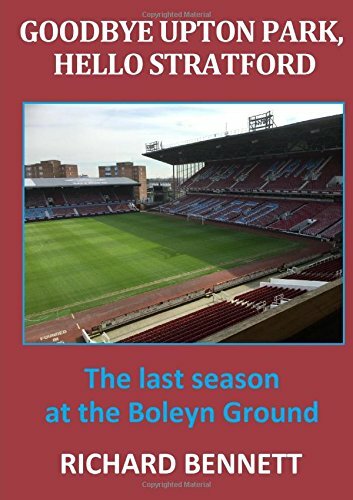 Under The Hammers – Page 87 – All the West Ham news, views and reviews. I watched the events from the Hawthorns unfold via the excellent offering on Sky, Soccer Saturday with the talented Jeff Stelling hosting. Who would have thought that a group of ex-footballers watching TV screens interspersed with goal flashes from around the grounds would make for such entertaining viewing? It works mainly because of the skill of Stelling, whose research and ability to add humour to his very quick statistical recall, makes him for me the most impressive football pundit. Added to the chemistry of the four regular ex-players, Le Tissier, Merson, Thompson and Nicholas, then for me it is as interesting a way to follow football on a Saturday afternoon as I know without actually being at a game. The BBC have tried it with Final Score, and if I didn’t subscribe to Sky Sports then it would be an OK alternative, as would Five Live on the radio, or the commercial station, Talk Sport. But Soccer Saturday is my choice. I interspersed this with watching my second favourite sport, the Channel 4 horse racing from Newbury and Ayr, which included the Ayr Gold Cup. Le Tissier was assigned what he termed the “dubious pleasure” of the West Brom v West Ham game last Thursday, and admitted that he thought he’d drawn the short straw, not expecting many goals. He described the first half goals as the game unfolded as “comedy defending”. He was particularly scathing about Masuaku’s high clearance “into the clouds” which ended closer to our goal than when he kicked it, and his inexplicable hand ball giving away the penalty for the first goal. He thought Ogbonna was the chief culprit for the second Baggies goal when he should have put the ball into row Z, and the third goal was poor marking generally with Masuaku totally switched off. Three down at half-time so I had a quick look at social media to brush up on my knowledge of Anglo-Saxon expletives from some of our cultured followers. Jeff Stelling stated what we have been saying for some time about the nonsense of possession statistics when he confirmed that we had 72% possession in the first half. We were three down in goals though! I went into “clutching at straws mode” and thought back to the week after my birthday in February 2011 when we were three down at half-time at the Hawthorns and fought back to draw the game. And of course the concept of comebacks wasn’t completely alien after last week against Watford, although of course the boot was on the other foot then. The fourth goal was described as “Sunday morning” or “amateurish” as Albion broke away to score from our corner. To some extent I can understand how it happened as we were going for broke, but just one player staying deeper was all it would have probably taken to prevent the goal. At four down we gave it a go, although Albion decided to take it easy at this stage. A Payet free kick hit the angle of crossbar and upright and only just stayed out, then Antonio scored his fifth goal (remarkably all headers) of the season. Payet was brought down in the penalty area, and with Noble already substituted, Lanzini placed the resultant penalty kick low into the corner to reduce the deficit to 4-2. We didn’t make too many clear cut chances from there; just one more might have induced panic in the Baggies’ defence. Collins had a shot well saved by Foster but that was it. Four defeats in five games means we have only three points, when I would have hoped for somewhere in the region of 7-9 to ensure we were keeping up with the life in the fast lane. At least I had an evening out to look forward to. We went to see the Illegal Eagles. No, not the Crystal Palace FC tribute team, but the excellent band, who were one of the best tribute acts I’ve ever seen, and would recommend them to anyone who likes the Eagles. I came home just in time to see us have top billing on Match of the Day for a change, but not for the reasons I would hope for. Matt Le Tissier had painted the picture well in the afternoon, and the game was just as he had described. I can’t tell you why we are defending so poorly and many fans think we are already gone. But those of you who are old enough may remember 1985-86. That season we had just four points after five games, three of which were at home, and sat seventeenth in the table. Two further draws meant just six points from seven games. Of course we finished in third place, eight points clear of fourth, and only narrowly missed out on being champions. But to do that we went on a run of 12 wins, 6 draws and no defeats prior to Christmas. Then we had another run in the second half of the season where we won 11 games out of 13. I don’t believe we are good enough to emulate those days, but we’re also not as bad as some might say. Picking over the pieces of the roadkill that was West Ham’s visit to the Hawthorns. A drama or a crisis? Yesterday I mentioned that media had painted West Ham as though the club were teetering on the brink of a precipice at the edge of an abyss. There has been little good news surrounding what should be a milestone in the club’s history either on or off the pitch. Personally, I believe it is far too early for hysterics and we are not the first team to get a new season off to a slow start; you only have to look at Chelsea last year and Everton and Tottenham in years gone by. That is not to say a slow start cannot become a crisis if the issues are not addressed and there do seem to be some serious concerns regarding the professionalism of the club at the moment. What doesn’t kill you may not make you stronger! None of our new signings have killed us but there is little evidence so far to suggest that they have made us stronger. There were a lot of new arrivals during the summer and although none of the names made me excited I was prepared to be surprised by some astute recruitment on the basis that I didn’t know much about Dimitri Payet before last season either. Until yesterday I had been quietly impressed with Arthur Masuaku and I think that Sofiane Feghouli could become a useful and regular starter. I don’t want to write players off so early but I have yet to see what either Zaza or Calleri have to offer. Zaza looks to lack the mobility required by an effective lone striker need and Calleri looks just as lost as Enner Valencia at the moment. There is going to be an issue with Zaza if he doesn’t show his worth quite quickly with the apparent clause that makes his transfer permanent after a specified number of games. Defend from the front; attack from the back. We give every impression of being a team made of separate components rather than being a single unit. Sure there have been individual mistakes but there is also a collective weakness, whether physical or mental, running through the team. We were promised a reaction after the Watford defeat but didn’t get it. I do not understand why we do not play with a proper defensive midfielder but continue to rely on the Noble-Kouyate partnership to muddle through even though they have been proved wanting in this role before; when full backs push up the central defenders become stretched and a huge gap appears between them without any cover dropping in. This league is meant to be the pinnacle of world football featuring the most expensive and highly paid players available. Yes good players can adapt to play slightly different tactical roles (or it may be necessary in an emergency) but otherwise the modern game has become very specialist and a top level club shouldn’t be playing players out of position as often as West Ham do. A lack of focus and style. It is very difficult to pinpoint what our style of play is meant to be. Possibly Slave Bilic is looking to adopt the Croatian style of play which has been the mainstay of their national for some years; get it forward quickly for wide men (wingers or full-backs) to spray in the crosses to a big central striker. If that is the case it is not working. For a start we do not move the ball quickly at all (at least not forwards) which limits the ability for the wide players to get into good crossing positions before the defence shuts down the space. The tactic also has the danger of being as one-dimensional as a Big Sam team and unless you find a big man who is also quick and mobile it limits options. There have been some great goals in the Premier League this year as a result of quick passing, movement and interplay; often on the counter attack. Difficult to see West Ham repeating this with the current set up. We have some flair players but have shown little penetration. We bossed the stats though! We absolutely smashed the Baggies on the stats yesterday. More possession, shots, successful passes, aerial duels and tackles won and dribbles made. Just a shame about that one inconvenient statistic of goals scored. I Wouldn’t Bet On It 8 – Ouch! Fingers burned last week but today’s betting slip still has West Ham’s name pencilled in on it. Last week we studied the form and decided that the odds were generous on a West Ham victory against Watford. So we lumped on. As a lifelong fan I should perhaps have known better. With 35 minutes of the game over we looked on course to at least double our stake of 24 points and be showing a healthy profit. If you had looked on the betting exchanges at around 3.35pm you could have virtually named your odds on a Watford victory and there would have been plenty of opportunity to get in excess of 100-1 in-play. But as we all know it didn’t happen so we lost 24 points, which became 25 when our accumulator failed miserably with just two correct predictions. So our balance now stands at 75.4 points. Today I’m going to try a different type of football bet. There are so many bets that you can place on football matches these days, and you can have fun trying out some other variations. One that can keep you interested for much of a game is betting on there being at least x number of goals in the game. For the purposes of this week’s betting I’ve had a look at the odds of there being at least 3 goals in the game in each of the Premier League games this weekend. If you had to guess which of our four main leagues has provided the most games percentage-wise where three or more goals have been scored which one would you go for? The Premier League is at the top – there have been three or more goals in the game in 21 of this season’s 40 games, putting it ahead of the other leagues (the Championship has had the least). The table above shows you can get even money or better on four of the ten games. Not surprisingly the bookmaker has done its homework and those four games are generally the ones where the teams have scored the least goals. The exception is the Tottenham game where I guess they are expecting more goals than has been scored so far by Spurs in particular. The game that really took my eye was the one involving our trip to West Brom, which gives the most generous odds, meaning this is the game expected to produce the least goals. This is not surprising in that West Brom (managed by Pulis) have scored the least goals in the Premier League this season with 2 and have only conceded 3, meaning their four games have only had five goals scored in total. On the other hand there have been 14 goals in our games, although we have only scored five of them. If you study the West Brom recent games, say the last ten of last season and the first four of this, then there have been three goals or more in just 3 of their 14 games! Conversely if you look at the equivalent for West Ham then there have been 3 or more goals in 13 of our last 14 games (the only exception being the home game v Bournemouth this season). If you look at West Brom v West Ham head to head in the twenty-first century, then 9 of the 18 league games played have had three or more goals in them. It’s very easy to see why this game has been picked out as the one with the least chance of producing at least three goals, but there are factors (mainly West Ham ones) which indicate that this may be a good bet. I am therefore staking 16 points on our game at West Brom to produce three or more goals (36). In addition I will stake four points on an accumulator for the games at West Brom, Watford, and Manchester City to each have three or more goals at accumulated odds of 6.19/1 (25.7). The figures in brackets are the potential winnings. Our total stake is 20 points reducing our balance to 55.4. If the three selected games can each produce three or more goals then we would collect 61.7 points from our single bet plus the accumulator. An unexpected Saturday fixture sees the Hammers entertained (!) by Albion at the Hawthorns. The consensus in the media, social and otherwise, on the current West Ham predicament and the evidence of 4 Premier League games (and an ignominious Europa League exit) is that we are teetering on the brink of the precipice at the edge of the abyss. The vultures are circling and the fat lady is already practising her closing number. The capitulation against Watford was indeed shameful where we not only took our foot off the gas but parked up on the hard shoulder (is that what they call the area around the outside of our pitch?) for a picnic and a refreshing glass of blackcurrant Rabona (I mean Ribena!). The tendency of West Ham to become all passionate against the big boys but fake arousal against the smaller fry is not a new one (remember the final two home games from Upton Park) but it really should not be tolerated from a very highly paid professional team. Nonetheless, a few good performances and wins can easily put the season back on track and there is no better opportunity to start than away to the beleaguered, low-scoring Baggies. All of the noise coming out of the Hawthorns this week has been about the take-over of West Brom by the Chinese businessman, Guochuan Lai, and speculation over the future of manager Tony Pulis (or Nok So Long as he is referred to in the boardroom). I am not a fan of the Pulis brand of football but he seems a decent enough chap and I am sure realistically he knows that his days are numbered whatever happens on the pitch. The new owners will want to introduce their own style and culture into the club and can foresee the scenario where the Assistant Referee holds up Number 5 to denote added time and someone runs on with a portion of Chicken Chow Mein. All in all I think it is a good time to be playing them. The all-time head to head record between the two clubs is a very even one. West Ham have won the last two Premier League meetings at the Hawthorns including a commanding 3-0 victory last time out. If West Ham were to win today it would be only the second time in the Premier League where they have recorded three successive away victories against the same team (Fulham was the first). These last two victories over Albion, however, were separated by the 4-0 drubbing received in the FA Cup 5th round tie in February 2015; whatever happened to (Tuesday and so slow) Brown Ideye? The more regular outcome in recent fixtures between the two clubs has been the draw and that must be the minimum requirement from this afternoon. An emphatic win would be the ideal way to celebrate Billy Bonds 70th birthday though. A former Hammer who has fond memories of West Brom is Brian Dear who scored 5 goals in 20 minutes against them in 1965. Brian celebrates his birthday tomorrow when he will be 73 years old. The long term injuries remain the same and so Ayew, Carroll, Sakho and Cresswell are all continued absentees. Mark Noble has recovered from a hand injury and is available for selection. I would be very surprised if James Collins kept his place (Ogbonna to start) and imagine Sam Byram’s place would be under threat if Alvaro Arbeloa was considered ready for first team action. I think Bilic will stick with Adrian in goal and that Zaza will start again up front. That leaves the midfield and the enigma of how to combine the available assortment into an effective unit. Personally, I would start with a proper defensive midfielder (which means one from Oxford, Obiang or Nordtveit) to provide extra protection to the back four. Antonio and Payet should be certain starters and that leaves another two from Kouyate, Lanzini, Noble, Tore and Feghouli; none of whom qualify on current form as automatic picks. West Brom are likely to have Solomon Rondon back for this game which is unfortunate as he seems to be their only credible threat; although on our day we can make even a Spurs reject like Chadli look like a world beater. Send yourself to sleep trying to remember your favourite F’in West Ham players. When I can’t sleep at night then instead of counting sheep I pick a West Ham team of players that have surnames that all start with the same letter. I’ve picked four so far, “B”, “C”, “D” and “Vowels”. Today I’ll see if I can remember enough players whose surnames begin with “F” to form my fifth team. I don’t think it will be that easy but there should be at least eleven that I can make into a fantasy team. I was really struggling to put together a team there. The only “F”s I’ve left out are goalkeepers Forrest, Feuer and Finn, plus defenders Foxe and Faye. I couldn’t think of any more attacking players apart from Fashanu and Franco but they didn’t come close to making my team. But perhaps I’ve forgotten someone really good. Can you pick a team of “F”s to rival mine? Do you agree with my team? And who would manage the “F”s? There’s only one candidate I believe, the first manager I remember and one who kindly arranged for the autographs of all the West Ham team for me in 1959 (I’ve still got them), and that’s Ted Fenton. Where we attempt to out-predict the BBC predictor. Last weekend saw me extending my lead at the top of the Lawro prediction league to seven points. Both Geoff and Lawro each managed three correct results for a total of three points, whereas I had two correct results plus two matches where I also predicted the correct scores for a total of eight points. I have to laugh when I see the BBC predictor competition and the opponents they line up to pit their prediction wits against Lawro. Lawro actually had previously won all three legs so far this season out-predicting such expert pundits as Athletico Mince, Laura Trott, and Blossoms! But this week he managed to lose to the former WWE star and Hollywood actor Dave Bautista. Dave actually admitted when making his predictions that he hadn’t even heard of some of our Premier League teams, and predicted 5-0 in the Manchester derby! He still managed to beat Lawro though. Priceless. But only 4 weeks out of the 38 have been completed, therefore there are still 340 matches to predict. Let’s see how we get on this week. Assessing the Hammer’s bouncebackability (© Iain Dowie) for Saturday’s away trip to the Hawthorns. As we approach the fifth game of the 2016-17 Premier League campaign I was hoping to be writing this preview with at least six points in the bag. Although no games are that easy, we have faced two of our easier opponents in our first two home league games, and for the fourth season in a row we’ve failed to take maximum points from our opening fixtures. The curse of defeat in the second home game struck again for the fourth season running. In fact we’ve only won both of our first two home league games twice in this century! If you read social media then of course you will know that it is all the fault of the move to the new stadium. But I seem to recall that when we faced Leicester and Bournemouth at home last season we were playing at “fortress” Upton Park, as we were in the opening games of all those other seasons! Three points from four games leaves us in 17th place and nine points adrift of the top. It is still early days, of course, and the table can change quite rapidly at this stage. However, another defeat at the Hawthorns would be bad news. We are now approaching a full squad fitness-wise, and we need to show that we have what it takes to bounce back and begin to make a realistic challenge in the top half of the table. Even after four games, the top seven of Manchester City, Chelsea, Everton, Manchester United, Tottenham, Liverpool, and Arsenal could well be the top seven at the end of the season, albeit not necessarily in that order. We are four points away from the tail end of that group, so if we are to emulate last season’s seventh place finish we can’t afford to fall too far behind. Had we beaten Watford, as we should have done, then the gap would have only been one point. I doubt that West Brom get too many Midlands ‘neutral’ spectators turning up because of the quality of the entertainment on offer. As befits a Tony Pulis team, they don’t score or concede many goals. Unlike the London Stadium the home fans aren’t on their feet a lot! But Pulis’ non-relegation record (like Big Sam’s) keeps the owners happy, if not the spectators. There have been five goals in their four games this season, scoring two and conceding three. They haven’t won a home game yet, with a goalless draw against Middlesbrough and a defeat to an in-form Everton side. We need to make sure that their home record doesn’t improve at our expense. I’ve no idea what Slaven Bilic has in mind for his team selection for this game, but based upon the performances against Watford then Adrian, Byram, Collins, Reid, Noble, Lanzini and Kouyate could all potentially be looking over their shoulders to see if others are going to step into their boots for this game. Wholesale changes would be an unnecessary knee-jerk reaction to the capitulation against Watford, but I would be surprised if there weren’t at least two or three players replaced to freshen things up. Reece Oxford was deployed in a defensive midfield capacity for the opening game at Arsenal last season and was magnificent. I’d like to see him given another opportunity in this role. I’m sure he would fit in well in front of the back four, and could drop back to make three centre backs when necessary. Mark Noble has seemed lethargic in the opening games and Kouyate doesn’t seem to be at his best either. But whatever team he decides upon I’d like to see us open up our away points account in this game. A repeat of last season’s 3-0 win would be great, albeit unlikely, but I’ll take us to reverse our early season form and come away with a 2-1 win.